A four-year degree is not for everyone. A two-year degree in some fields may put you in the fast lane to success. Could a two-year associate's degree be right for you? Read this article in Time for some clarity. Common knowledge holds that people with bachelor's degrees command higher annual salaries than people with associate's degrees. This notion is largely true, but misses the one in four people with an associate's degree who actually end up earning more than somebody with a bachelor's degree. Careers that avail to that kind of financial opportunity include dental hygienist, web developer, and registered nurses, among others. The cost of a two-year degree usually significantly undercuts the cost of a four-year degree. With a low sticker price, a growing job market, and potentially high earning potential after graduation, an associate's degree may be right for you. Of course, students should keep in mind that a bachelor's degree will usually open more doors and create more opportunities for career advancement. Geography also matters. As the article suggests, a two-year degree may be valuable in places like oil-rich Texas, but provide very little benefit in the established economies of northeastern cities. 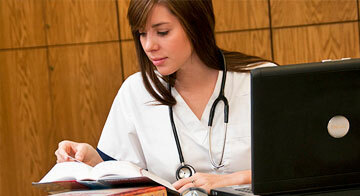 Are you thinking about pursuing an associate's degree instead of a bachelor's degree? We would love to hear your thoughts in the comments below.